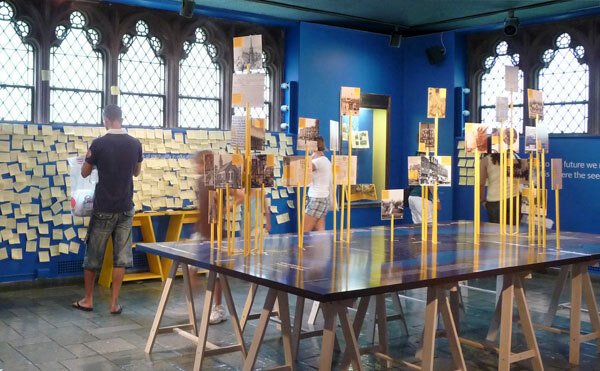 As an extension of the exhibits C&G Partners created for the 300th Anniversary of Trinity School in New York City, the firm developed a gallery installation located inside Trinity Church, near Wall Street in Manhattan (closing soon, on August 31st). The project explores the 300-year old relationship between these sister institutions, one a church and one a school. 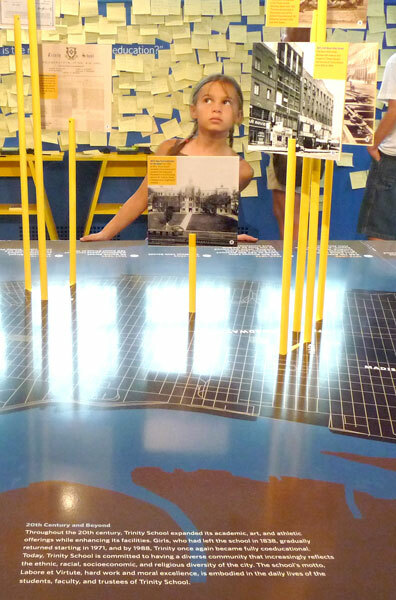 The centerpiece is a tabletop map of Manhattan, three-dimensionally annotated, tracing the history of Trinity School as it slowly evolved from a church charity school in Lower Manhattan into the storied private school it is today on the Upper West Side. Oversized flags, pointing to more than a dozen addresses the School occupied before settling uptown, illustrate some of the events and people that are a part of Trinity's long history. 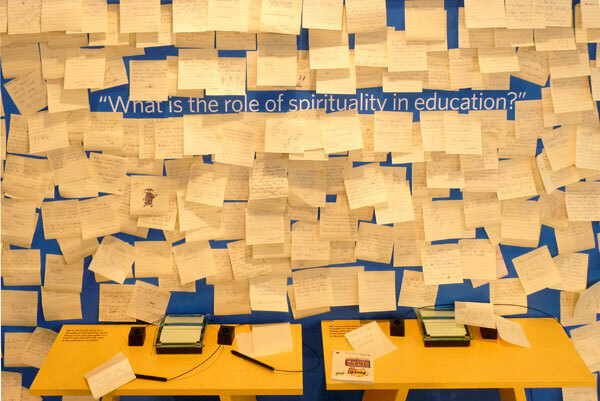 To encourage visitors to participate in the exhibit, while simultaneously bridging the focuses of the Church and the School, the question of "What is the role of spirituality in education?" is posed on one of the church walls. 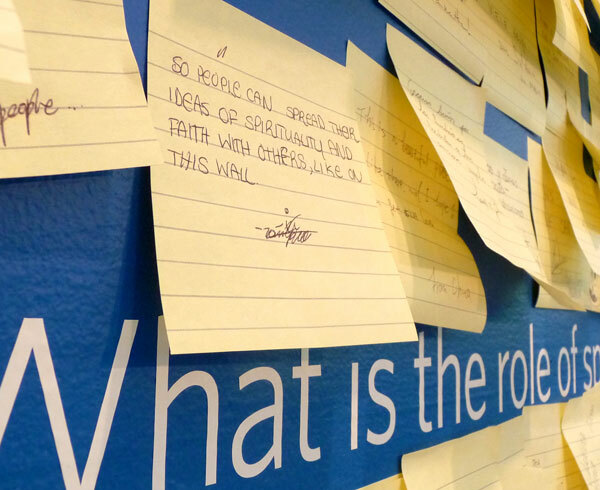 Gallery guests left behind their responses on sticky notes, with unexpected results: visitor sentiments were so heartfelt that the replies finally obscured both the original question and a neighboring wall.